Oracle Database was developed and marketed by Oracle Corporation which is a multi-model database management system. It is most widely used for data warehouse, data mining. It allows the user to interact with data within its database. Choosing the Oracle Training in Chennai is the best option for fresher who is ready to start their career in IT field. Oracle has a great scope in future technologies. 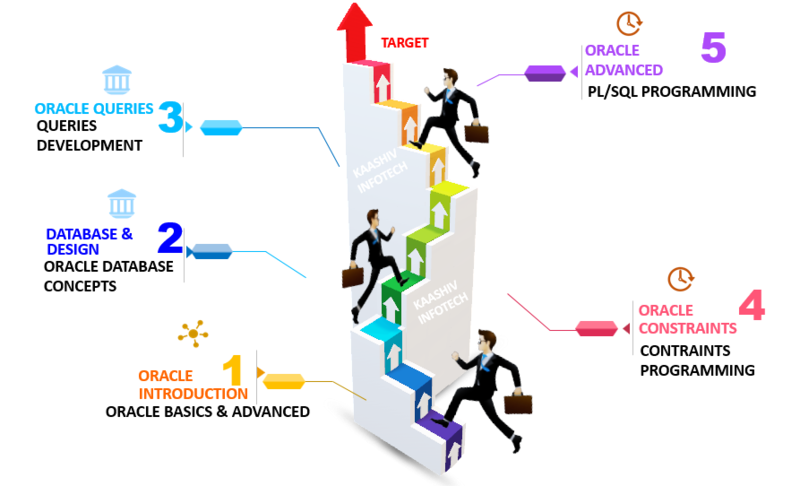 Why KaaShiv InfoTech Company to learn Oracle Training in Chennai? Kaashiv provides Best Oracle Training in Chennai with professional trainers who provide real-time training and also projects to the candidates for better understanding. Why Students Enroll for real time Oracle Training in Chennai ? Oracle is widely used by various MNC’s in market sectors due to its better Quality of Service (QoS). Oracle Certified Professionals will achieve their goals and gain higher income in their field. Kaashiv offers exclusive training in Oracle and raises students as experts with real-time practices. For Oracle Training 120 concepts from Basic to Advanced will be covered.